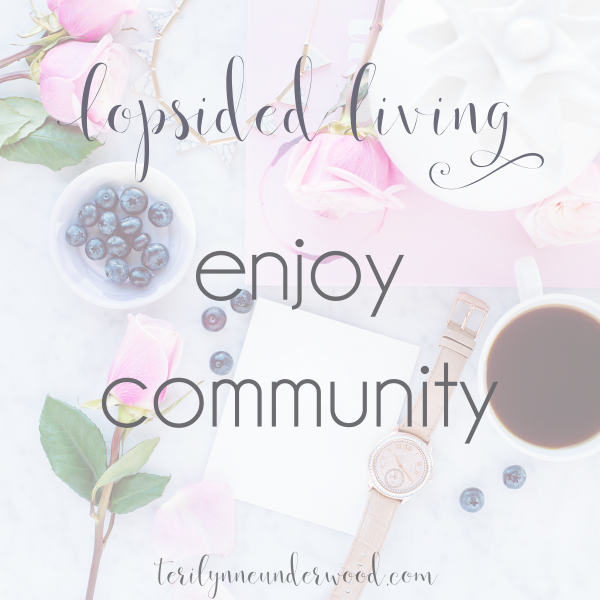 Welcome to Day 26 of 31 Ways to Embrace Lopsided Living! Only five posts left in this series after today. I am praying you have been encouraged, inspired, challenged, and equipped by all the ground we’ve covered. I know it’s been a lot. Don’t forget every post is indexed and you can always come back and read them again. So, yesterday we talked about how important it is for us to encourage others. Did you do it? How did it impact you? 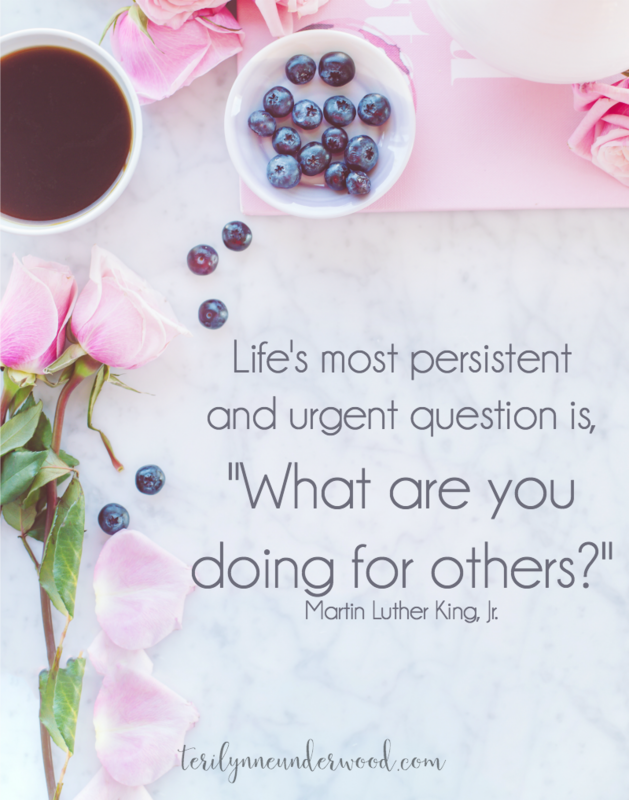 Funny, isn’t it, how when we set out to bless someone else we usually end up being blessed ourselves. Standing at heaven’s gates, St. Peter greeted a man who was carrying a huge and obviously heavy bag. St. Peter told the man he couldn’t bring anything into heaven, that everything he would ever need was already there and in abundance. The man argued that he needed to carry his bag in with him, that it contained something he could never part with. After a few minutes of discussion back and forth, St. Peter finally asked the man to open the bag and show him what it contained. As the man showed Peter the contents, Peter’s face clearly revealed his confusion about the man’s choice. You may be chuckling, as I did, about the foolishness of the man. But the point of the story is an important one: the things we treasure most in this life are often the least important things in heaven. We worry about possessions, power, and position. But in heaven, none of those will matter. People are the treasure of heaven! And when we invest in people here, we are building our treasures in heaven. That’s where our heart should be. SPEND TIME WITH PEOPLE. LISTEN, LAUGH, EAT. ENJOY THE COMPANY OF OTHERS. When we embrace relationships, enjoy community with others, it pleases God. And it enriches our lives now and for eternity.